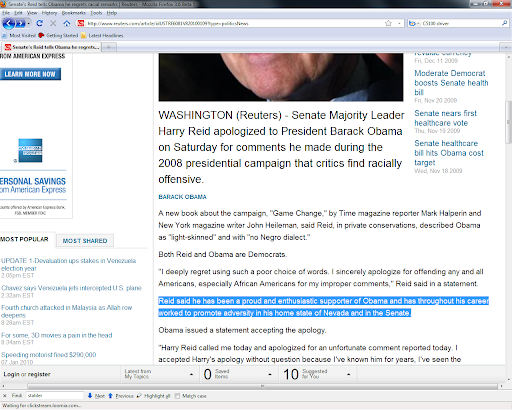 Yesterday I pointed out that Reuters needs to get a new editor who can proof read their articles, it looks like CNN needs one as well. 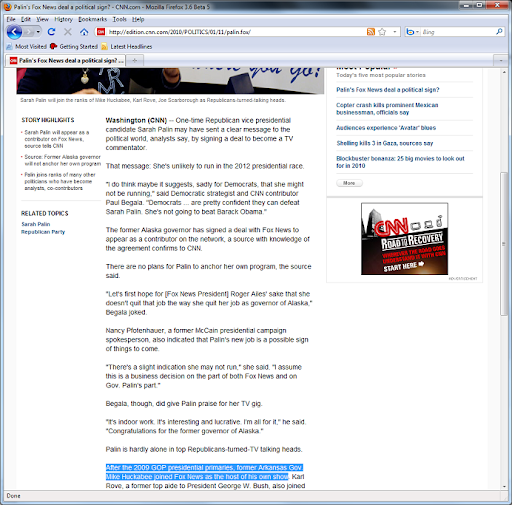 I was reading an article about Palin's new deal with Fox when I learned that the GOP had presidential primaries in 2009. I must be behind the times, I thought all the primaries were in 2008 when we had the general election for president. This page took 0.282 seconds to load.